Tomcat is developed by Apache Foundations. 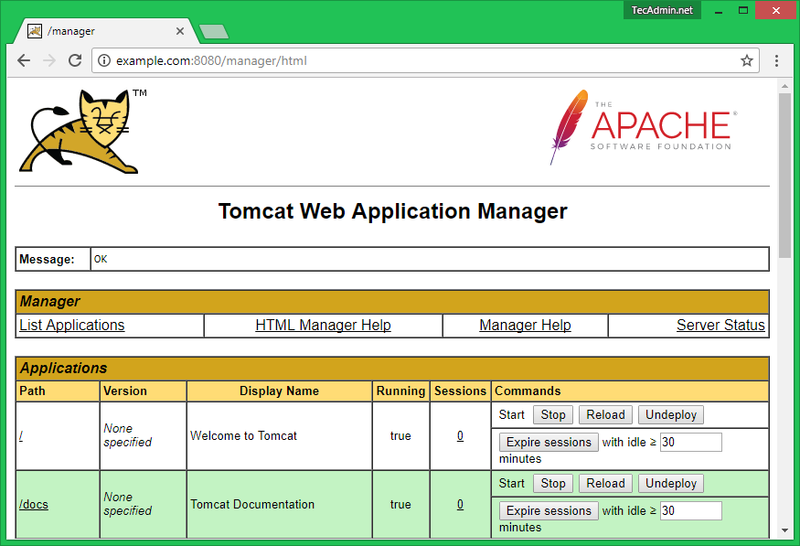 Apache Tomcat is an open source web server for a Java-based web application. Tomcat is licensed under Apache License version 2. 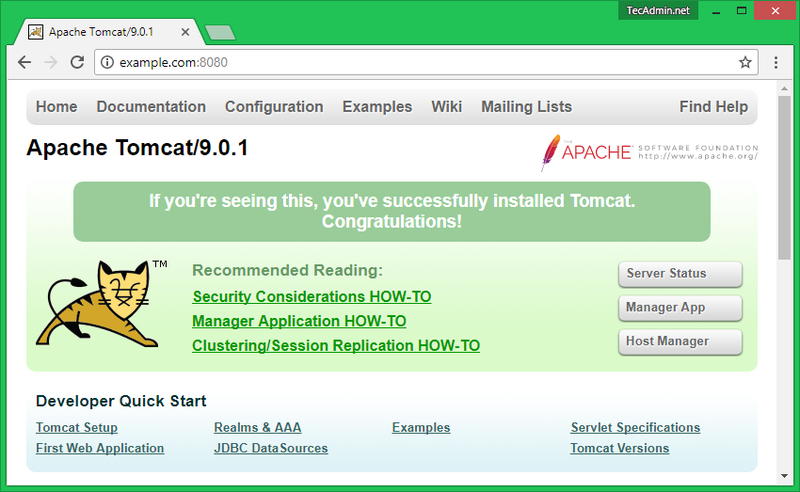 Apache Tomcat team has announced its latest Tomcat 9.0.14 release on Dec 6, 2018. This article will help you to Install Tomcat 9 on CentOS, Red Hat and Fedora systems. To install other version of tomcat visit Tomcat 8 on CentOS & Red Hat. Tomcat 9 is designed to run on Java SE 8 and later. So make sure you have installed correct version on your system. If you don’t have Java installed on your system or installed lower version, use the following link to install Java first. 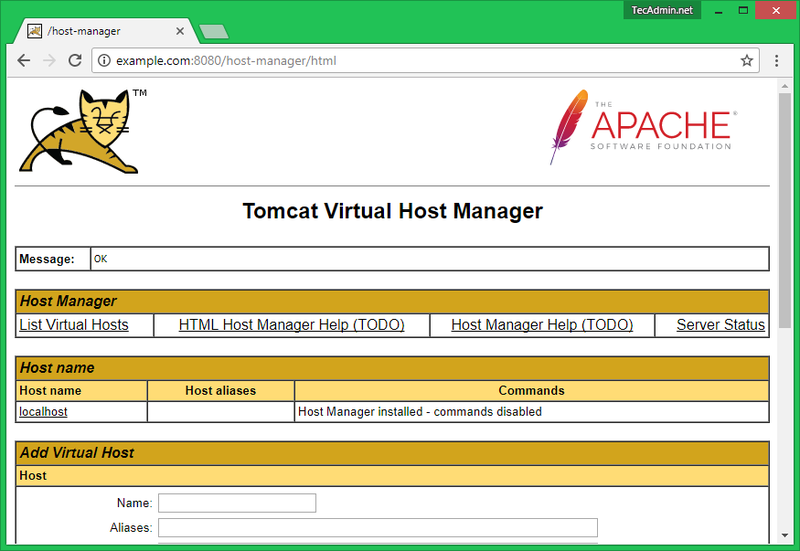 Download Apache Tomcat 9 archive file using following commands or you can visit Tomcat 9 official download page for download most recent available version. After downloading extract archive file in /usr/local directory. You may change this location as per your setup. Let’s configure CATALINA_HOME environment variable in your system using the following commands. Its required to run the Tomcat server. Tomcat is very easy to use, There is no need to compile its source. You simply extract the archive and start the tomcat server. Tomcat by default start on port 8080, So make sure no other application using the same port. Tomcat server default works on port 8080. Access tomcat on a web browser by connecting your server on port 8080. Access Tomcat Home:- This is default tomcat home page. There are no authentication required to access this page..
Access Manager App Page:- Click on Manager App button on home page.This page is allowed for Admin and Manager access both. 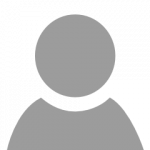 Access Host Manager Page:- Click on Host Manager button on home page.This page is allowed for Admin access only. I followed all steps and was able to setup tomcat with ease.